Best thing since bubble gum. I placed this at bedside and I can now get into bed from a standing position versus crawling on my knees. This is REALLY great! My 18 month old niece loves to play with it and it is low to the ground so she doesn't fall. 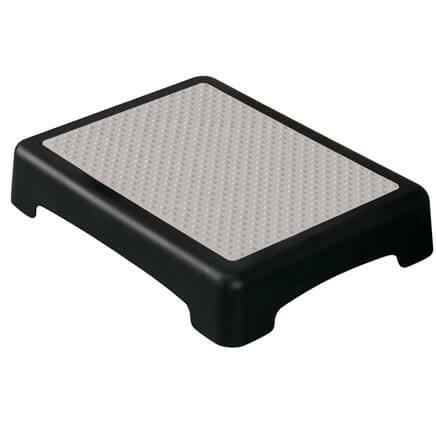 I purchased this step for a disabled friend who needed it to get into her bed. She cannot walk up stairs so I was looking for something useful, but shorter than a 6-8 inch rise. This is about 4 inches and perfect for her needs. She is very happy with it. Also, the non-slip features both on the bottom of the feet and on the top surface give her the security she needs. I use one to help get my arthritic knees into the bathtub. I also use one beside our bed, which is fairly tall. I gave one to my daughter-in-law, for the same purpose. She is also pleased with this product. This is ideal for my 90 year young father to get in and out of the bathtub, I would recommend highly. Nearly impossible for me to get into my son's SUV -- this was the perfect solution and it's light enough to pick up and store in the car. My new bed is 26" high. This is perfect height to help me get into bed and a good size to feel stable and secure. as a step in bedroom to get in bed. I bought this for my Mother (92), she is short and can not reach the microwave above the stove. This step now helps her reach her food. I also have one at the back door in the garage. I even take it in my SUV, so my Mother can get in my car. Going to buy another to keep in my car at all times for Mom, that way I don't have to take the one from the garage. Wonderful assist I needed to climb into my tall king size bed. Exactly the right height and safe to use. I have bought this product before. I use the bath step to get in and out of the bathtub. When I moved into my home the previous owner had put in one of those plastic tubs with the walls included. To save on water they raise the tub up off the floor. I didn't realize that, so the first time I stepped out of the bathtub I flew across the room. The step down was way too far. 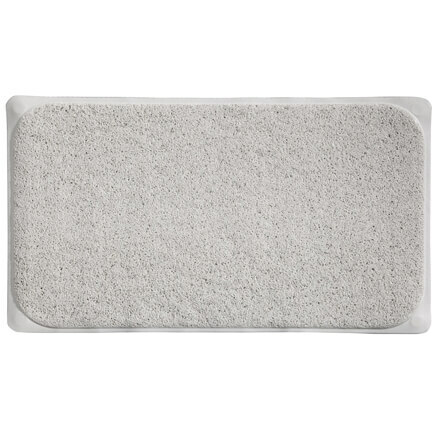 This bath step has been a life saver. I bought the new one because after more than 15 years of use the rubber pads on the bottom are wearing out. I don't want to be without it so I bought it for future use. This step helps me get into and out of the bathtub. 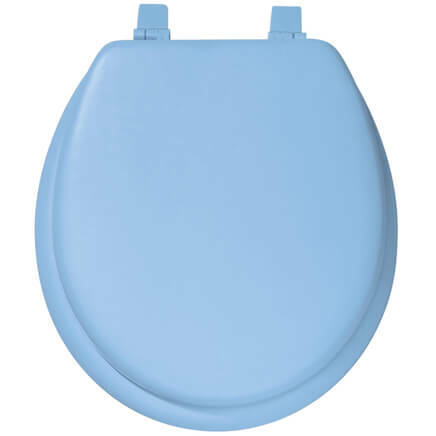 It feels sturdy, stays put, easy to clean and move when needed. Now I wish I had ordered a second one. This is quite handy. I can see it in front of sink for little ones, and wherever elderly and disabled need a little help getting Higher. Our King Size Bed has high matteresses on it. We also added a 4in. thick foam matteress. I had a hard time getting into bed. I bought the bath step to give me some help. It is wonderful! I am very happy with my purchase. The best thing about it, is I can slide it under my bed out of sight when I have company! My husband tested it out, he likes it too. I am considering getting it for my bathroom. It was well worth the purchase. I will recommend it to my family and friends. I have arthritis in my knees and have trouble getting in & out of our minivan. It helps somewhat in getting in. I do not trust the weight limit listed for this item. It gives when I even put part of my weight on it. I trust it more for getting in than out. I wish it were sturdier. For the price, it should be. It's just a hunk of plastic! I am short and my bed is high so I have trouble getting in it. To help my husband in and out of tub. It's the right height for getting into the tub and the shower. It is also attractive. This step is so useful. I use it to step to enter and exit the shower, and as a step up to the step ladder. I recently gave mine to my sister and i had to search high and low to find it a second time. ch. For a person with limited mobility this will be excellent for the small 9" rise into the shower. To help in getting in an adjustable bed. I chose this item to help my husband have more mobility. To shorten the step down to a room in my home. To assist my 95 year-old mother get in and out of the tub and for other purposes. I picked this item because I recently purchased it from Walmart (on-line) - and it is perfect!! Soft and smooth on the feet plus it's just the right height. Having a new (high) platform bed set and only being 5' - this is absolutely the right (second) one for me. To add 4" (1 step) or 6" (2 steps) as needed to get into high kind size bed. I'm a shorty and this is great for getting in and out of our camper. Would buy again. I am 70 years old, I have cerebral palsy, and I am short [4'11"] When I sit on the bed, I am sitting on the edge. I am hoping this will help get me high enough to sit further back on the bed. Have 2 already, they work great! My mother has severe knee pain and being short, has some difficulty getting into and out of the tub. I'm hoping that a step such as this one, will help her get into and out of the tub more easily. I have difficulty stepping into & out of the tub because of back problems. The step stool I use now is too high, so I need an extra little boost. To step out of shower on! To help my Mom get into an SUV. 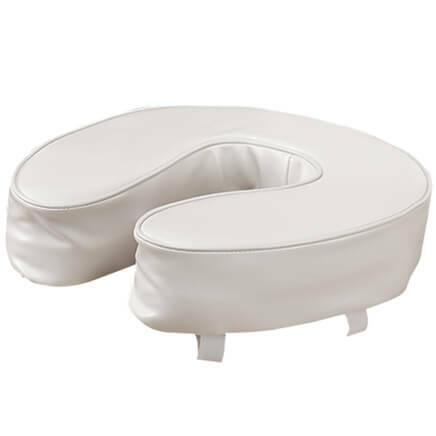 ease in stepping in and out of tub due to aging knees. I have had one of these, and loved it. It helped me get into my tall bed. I need help getting in & out of car due to arthritis in my knees. To help my mom get into bed..
if they have fallen by scooting on to one step and then on to the second step and finally on to the third step. right size for a problem we had! My husband has Parkinson and need help getting into our tub. Love my bath step up ...... 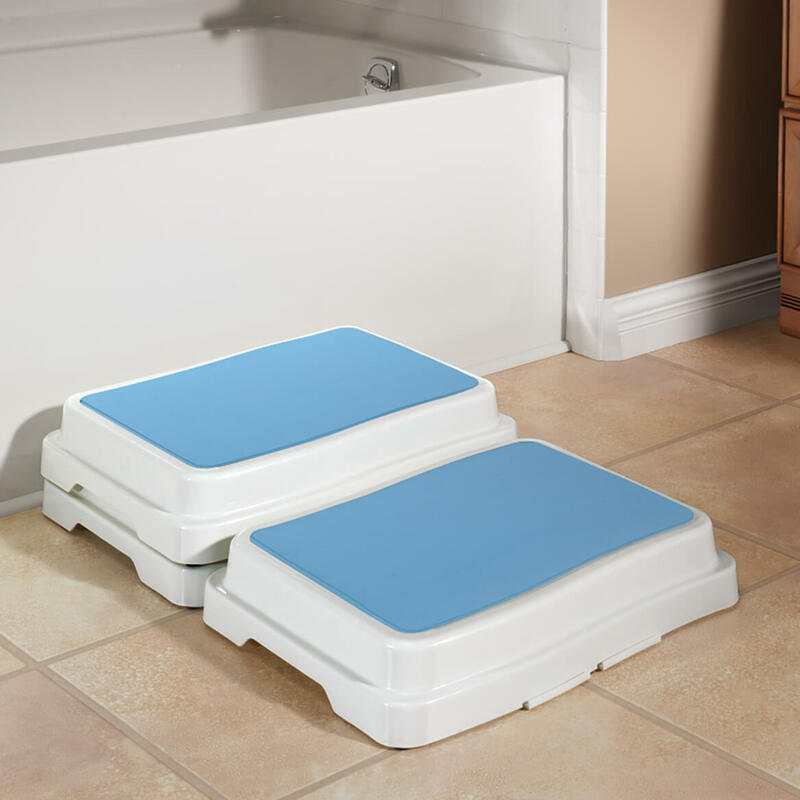 I'm weak in my legs & this step helps me deal with the step into the tub/shower..
Is the top of this step completely flat? It looks wavy in the photos. The top is totally flat. Be aware you are purchasing only one section at a time, the one shown shows two steps. CAN THESE STEPS BE USED INSIDE THE SHOWER ON A WET SURFACE? BEST ANSWER: Showers usually are not level so the water will drain out. I think this would slide on a non-level surface unless you could find some way to put non-slip grippers on the bottom. I am very sorry, I can not answer this question. I have never used it in the shower. I mainly use it to get into the bathtub so the bottom does not get wet. Thank you for your question. We do not recommend using it inside the tub as it poses a safety risk. We hope this information will be of help to you. Can you use this for outdoor use?I was going to use it to get in and out of travel trailer easier. BEST ANSWER: We use it for our RV, we have 2 of them depending on the height of the first step in the RV. It is very stable, even if the ground is uneven. 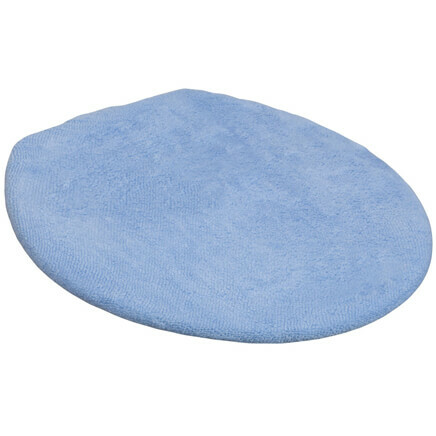 The blue pad on top does not come clean from outdoor use but other than that we love it! Thank you for your question. Yes, you can use this for a travel trailer. We hope this information will be of help to you. Yes you can. Very sturdy. I don't think you would have any problems using to get in and out of you travel trailer. Does one set include three to stack - or just one? BEST ANSWER: Each set is just one piece. You have to buy as many sets as necessary to reach the height necessary. 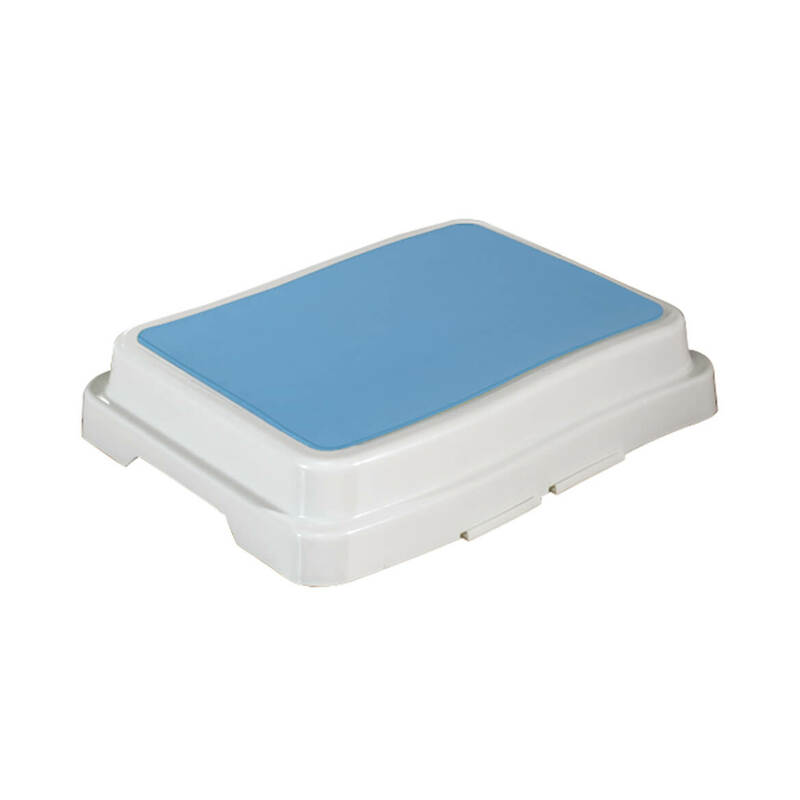 This product is made for larger bathrooms where when put on the floor it gives you enough room to move around comfortably.